Need some shade, but don't want an umbrella pole in the way? Cantilever umbrellas are the perfect solution. 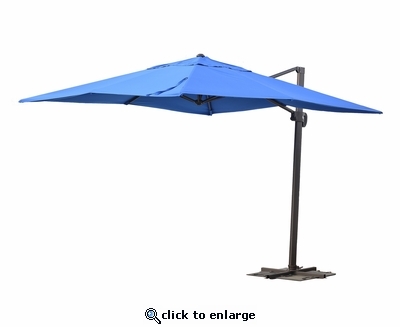 Features include tilting and a heavy base to ensure stability in all weather conditions. Includes canopy in fabric shown. Call for more fabric options. Sunbrella Fabrics may incur an additional charge.